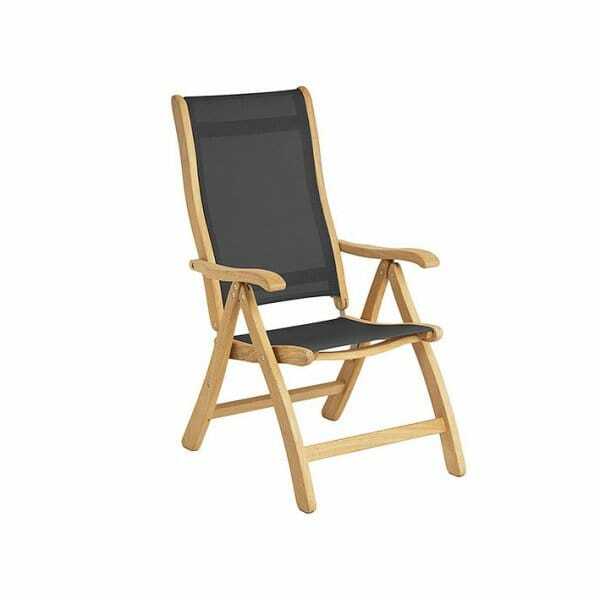 Alexander Rose Roble Recliner Chair: This Alexander Rose Roble Recliner Chair will stand out amongst your dining collection. The garden chairs of the Alexander Rose collection fold for ease of storage so you can cater for your guests. This Alexander Rose Roble Recliner Chair has many positions to alter to, so the user can find the ideal position when dining. The Roble Collection is an elite range made from the world’s strongest wood, comes from FSC certified source and has been constructed with every summer day usage in mind. The dark charcoal material used for the chair’s sling seat offers supreme comfort and wont stretch.